Jules Marriner was a child in the 1970s, but has never let this hold her back. It was at University that she rediscovered her love of children’s books and entered the Macmillan Children’s Book prize. Following uni, she spent a year in London working as an illustrator and spent endless hours thinking up new and unconventional stories. To cut a long and somewhat dull story short, it was then that she realised she really wanted to live up a tree with some orang-utans, so she moved to the Isle of Wight. Sadly, Orang-utans are not native to the south coast of England, but there are LOADS of trees to climb so she spends her days writing and drawing and being assisted by two Chihuahuas, one short, fat and hairy, and the other short, thin and hairy. Neither can climb trees. 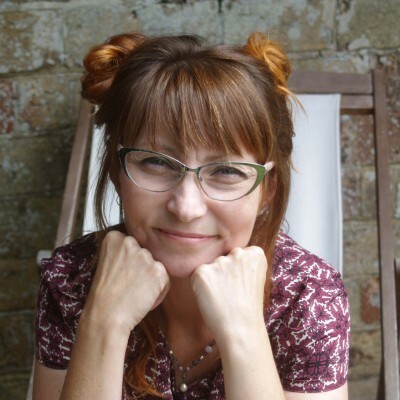 Jules is currently writing her tenth and eleventh books, with Dogstar being published in the autumn of 2018. When she is not under the scrutiny of the dogs, Jules likes to bake inedible cakes for her teenage children and long suffering husband. Jules previous books are Vincent and the Vampires, Royal Fleas, Wally and Bert, BFFs, Flossie Bonce, The House on Hare Hill, Bluebell’s New School, Nature Calls, Fidget, and The Golden Stone.